By the time I launched into psychoanalytic training, with all its reading requirements, control cases, hours of close supervision and my own analysis, I had finally been able to absorb myself not only in the thoughtful and inspired content of psychoanalysis, but also the process of being completely immersed - of falling into and being surrounded by a discipline that satisfied me as no other. I wanted to continue finding that immersive experience after I graduated, but the idea of delving into psychoanalytic theory or history wasn’t the direction that gave me the same, all-enveloping, meaningful pleasure. Just these days it’s dawned on me that after training ended, seventeen years ago, I began to write, to explore my ideas and unexpectedly, have found that immersive experience again. It is as though the training had started, not ended, a journey, that it had given me a taste, though not quenched, my thirst. As I wondered why writing was becoming such a potent journey for me, I remembered an essay that an ex-partner, who was a writer, had given me. How did Elizabeth Bishop come to put words to this most-abstract-of experiences? As a poet she came to delight in her own observing, and, in this instance did so while reading the field notes of Charles Darwin in his voyage to Galapagos Islands. These notes became the skeleton for his ground-breaking book published in 1859, On the Origin of the Species, offering the theory of natural selection and the larger theory of evolution. As far as field notes, every self-respecting student of nature uses blank-page books to record his/her observations while out in nature, where things really are happening. Darwin knew that jotting down observations in words and illustrations required one to pay attention to every detail, even the seemingly unimportant ones. For the non-naturalist, these notes read as fragments of perception, often sketchy, impressionistic and numbingly detailed without any narrative coherence or personal opinion. Darwin observed nature but also observed himself occasionally noting the testy side of his personality, calling a plant, “‘such wretched-looking little weeds’ that they ‘would have better become artic rather than equatorial Flora, ‘”(Chancellor et al, 2006, 6) and, upon meeting one of an island’s tortoises, ”Met an immense Turpin, took little notice of me.” Elizabeth Bishop read beyond these details, into his wandering, yet keen, mind as she imagines him sitting at his desk, years later re-reading his own notes. “One admires the beautiful solid case being built up out of his endless heroic observations, almost unconscious or automatic – and then comes a sudden relaxation, a forgetful phase, and one feels the strangeness of his undertaking, sees the young man, his eyes fixed on facts and minute details, sinking or sliding giddily off into the unknown. What one seems to want in art, in experiencing it, is the same thing that is necessary for its creation, a self-forgetful, perfectly useless concentration.” (Bishop 2011, 414) She understands something about attending to details, that is much more than compulsive note-taking, especially when observing oneself in the process. As far as Bishop was concerned, Darwin’s immersive scientific inquiry was a creative venture equivalent to that of a painter, writer or musician. Darwin is my hero because the punctuation and grammar used in his field notes are secondary to getting down his impressions as precisely and immediately as they came to him. In describing the Thenca bird of Chatham Island, “They are lively, inquisitive, active run fast, frequent houses to pick the meat of the Tortoise, which is hung up, - sing tolerably well; are said to build a simple open nest. – are very tame, a character in common with other birds: I imagined however its note or cry was rather different from the Thenca of Chile?“ (Barlow 1963, 262) That last statement, which morphed into a question, is crucial for Darwin for it allows him to pause in time and ponder the significance of what he had just seen. In just a few sentences later, he sees these birds as different varieties of the same species, speculating that they had a common, but distant, ancestor. His theory of natural selection is itself beginning to take root in his imagination. Observing and note-taking are allowed the space for speculating then theoretical speculation. 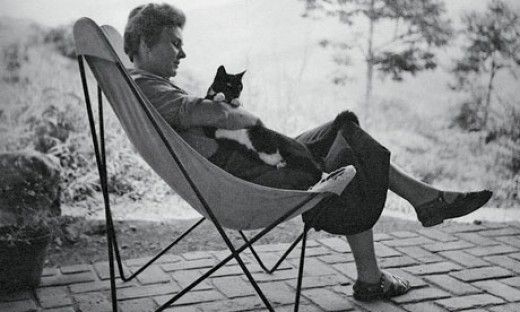 What is so inconceivable about Elizabeth Bishop is that she created anything at all, much less that it was delightful and intimate at times, yet neither cynical nor indifferent. I say this because Bishop had a horrible childhood. Born in 1911, eight months after her birth, her father died. Her mother decompensated into a severe psychotic depression and was permanently institutionalized when Elizabeth was five, never to see her again. She was taken in by familiar maternal relatives in Nova Scotia but a year later ‘kidnapped’ by her father’s wealthier kin near Boston. There, she was sexually abused and terrorized by an uncle, subsequently developing severe asthma and eczema, and finally given back to her mother’s sisters who read her poetry while she recuperated. At age sixteen, she was sent to an elite girls’ boarding school where another uncle assured the headmistress that no one in the family had spoken of her mother’s insanity. It was at Vassar that her talent was affirmed and her social life opened up. Decades later, during the few months she spent in psychoanalysis, she was told she was lucky to have survived her childhood. With the small amount of inheritance she was allowed to travel, and resided in Key West, Spain, France, Morocco, Brazil and finally Boston. Lesbian, but hidden, Elizabeth had a partner of many years, a notable architect in Brazil, who later committed suicide in her presence. Though receiving the Pulitzer prize for poetry in 1956, she did some of her best writing some twenty years later. She was the first female professor of an advanced writing course at Harvard. Alcoholism throughout her adult years required frequent hospitalizations, and gradually obliterated her life. Wanting to know more about the immersive experience found in writing led me to explore Bishop’s poetry and then read what others had to say about it. As I read her critics and commentators I was Intrigued by what they had got wrong about the definitive style and tone in her poetry. Some described her work as ‘precise’, ‘controlled’, ‘meticulous’, ‘perfectionistic’, even ‘evasive’. Colm Toibin had referred to her writing style as austere, controlled, and that she “seemed to keep her sights low; in her fastidious version of things, she had a sly system for making sure that nothing was beyond her range. (2015, 2) Octavio Paz said her writing was an example of “the enormous power of reticence.” (Read 2017, 2) That assessment of Bishop is too reductive and punctilious, is too rigid and suffocating. Her tone does not suggest reticence, as though there were a conscious inhibition of emotion or an inability to speak freely or naturally. Conscious restraint is not reticence. What she needed to do was to produce art, and it is remarkable that she was able to balance that need, which she admitted was vital to go on living, with the need to be in contact with her personal history of horrific trauma, and its effect it had on her throughout her life. If not balance, then a truce between the aesthetic gift’s need to produce art and the personal need to not avoid or disavow, but allow the memories and anguish imposed by that trauma. A truce negotiated only by entering into the immersive experience. After reading Hardwick, even my use of the word ‘restraint’ may not be the best descriptor for Bishop’s tone. More so, ‘deliberate’ or that oft-used, but less persuasive, term, ‘intentional.’ Living and writing at the pace of deliberate slows one down, allowing, only then, the reality of trauma to live, and not be sequestered or extinguished. This is not a healing of that trauma and certainly not an undoing of the past, but deliberately allowing the space and time for the reality of that trauma to be. Bishop’s “The Mountain.” (1983, 197), published when she was just twenty-five. At the evening, something behind me. I start for a second, I blench. Or staggering halt and burn. Shadows fall down, lights climb. As a stylistic method Bishop qualified or outright corrected a word or phrase she had just committed to paper. For “The Moose,” she wrote, “A moose comes out of/ the impenetrable wood/ and stands there,/ looms, rather/ in the middle of the road.” In “The Sandpiper, a bird “watched his toes,” was corrected to, “-Watching, rather, the spaces of sand between them.” Bishop is apprehending her mind as it was attending to, reflecting and editing itself in action. Colm Toibin perceptively suggests she was writing “because the illusion needs to be created that nothing else was true at the time the poem was written. (2015, 27). 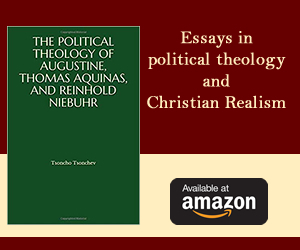 For Bishop that truth was not lofty or philosophical. It was a truth that was rigorously experiential and, therefore, sensuous and relatable. At the time I was reading her poems, I noticed something about the instructions that come with any new appliance or piece of furniture from IKEA. What was the first sentence? “Read instructions carefully before starting,” or just “Read instructions carefully,” as though we weren’t going to do so, had no intention of doing so. By using repetition and revision in her writing Bishop knew we would too quickly move from line to line, or fill in the spaces between words, suspicious that we were putting too much of ourselves in her poem, unwilling or unable to let go of our mind so we could encounter hers. “One Art” was written towards the end of her life after her female lover announced she was engaged to a man. Next–to-last, of three loved houses went. I was partnered to a writer a few years back. The one who showed me Alan Shapiro’s essay, “Why I Write.” Even though we had lived together for a while, when I came home from the office one day he looked up from his writing desk and announced he’d written three sentences that day but had taken two out. That was the speed of his writing. I was shocked. I knew writing was a very conscious and diligent act, requiring much effort, but not at the pace of a sentence or two, or none, a day. For his book he had in mind a climactic moment and a few nodal narrative points to touch along the way. But the rest was up to the writing, sentence by sentence, crafting them, letting that last sentence guide him into the next. When I’m not writing, which is most of the time, I’m doing other stuff. A friend and I went to see Watts Towers in South Central Los Angeles last September. Beginning in 1921, Simon Rodia, an Italian immigrant, single-handedly built these seventeen, inter-connected towers, the tallest being ninety-nine feet. Rodia made these towers from broken pieces of Milk of Magnesia and 7 Up bottles, as well as bits of crockery and ceramic tiles he saw every day along the railroad tracks near his home. These all artfully held together by cement and wire mesh. Imprinted in the cement were the tools he used to build the towers, but also sundry items such as a cornbread mold, rug beater and water faucet handles. Described by Geoff Dyer as, “…sturdy, intricate, graceful: science-fictiony, daft and Gaudi-esque all at once.” (2016, 184), if hand-built radio towers could be both rock-solid and lace-glittery Rodia had achieved it. As far as their construction, Rodia had no pre-determined image, no blueprint. Their materials were objects he found at hand, the contours and dimensions of the towers were incrementally improvised by what had just been built. ‘Improvised’ may be too lax a term as he would erect a couple of stories of tower, be displeased for whatever aesthetic reason, then tear it down and start up again. As though editing and disposal were as much a tool as were the pouring of cement and decorating with glass and tile. Yet they bear the sense of deliberately being made as they now stand. Decades later, in the same Watts’ neighborhood, which had come to be defined by Rodia’s towers, local artist Noah Purifoy would take his students on ‘junk hunts’ transforming what was available into something meaningful, changing the perception of their neighborhood. “Turning finding into making” (Jones 2017, 8), analogous to Bishop’s turning observing into writing, or Darwin’s note-taking into theory-building. Starting at age forty-two, it took Rodia thirty-three years to build these towers. It took Darwin forty years to go from fields notes to completing On the Origin of the Species. “The Moose” took Bishop some twenty-five years to complete. As though each of these constructions came from a gradual building up of ideas, finding their own way, making sure the structure was solid and true to itself. Or rather, built, torn down and re-built, steadily. As far as why I write, sometimes it can be problem solving or ideas wanting to be wrenched from the vague and amorphous into language. All too often it comes down to a mental wrestling match. For me, the immersive activity, the looking for and attending to the ideas and images found at hand, the construction from sentence to sentence, draft by draft, the creating of it all, offers itself, over time, as a means of filling me out from the inside. Something which may not be detected from the outside. This kind of immersive activity presents itself, from moment to moment, as a certain kind of hope. Which is a discovery… I had not… expected. Joel Miller is psychiatrist and psychoanalyst with a private practice in Pasadena, California, and a training and supervising analyst at the Institute of Contemporary Psychoanalysis, Los Angeles. He is a regular contributor to the Arts Section of the American Journal of Psychoanalysis. Joel Miller could be reached at joelemillermd@gmail.com . Barlow, Nora. “Darwin’s Ornithological Notes,” Bulletin of the British Museum (Natural History) Historical Series, Vol.2, No.7 (1963). http://www.darwin-online.org.uk. Bishop, Elizabeth. Elizabeth Bishop, The Complete Poems, 1927-1979. New York: Farrar, Straus and Giroux, 1983. Bishop, Elizabeth. Prose – Elizabeth Bishop, edited by Lloyd Schwartz. London: Chatoo and Windus,. 2011. Galapagos; ‘A Little World within Itself,’” (2007). http://www.darwin-online.org.uk. Daum, Meghan. The Unspeakable; and Other Subjects of Discussion. New York: Farrar, Strauss and Giroux, 2014. Dyer, Geoff. White Sands. New York: Pantheon Books, 2016. Hammer, Langdon. American Literary History. London: Oxford University Press, 1997. Hardwick, Elizabeth. The Collected Essays of Elizabeth Hardwick, edited by Daryl Pinckney. New York: The New York Review of Books, 2017. Jones, Kellie. South of Pico, African America Artists in Los Angeles in the 1960’s and 1970’s. Durham and London: Duke University Press,2017. Marshall, Megan. A Miracle for Breakfast. Boston: Houghton Miflin Hartcourt Company, 2017. Shapiro, Alan. “Why I Write,” In The Best American Essays, 2006, edited by Lauren Slater. Boston: Houghton Miflin Company, 2006. Toibin, Colm. Colm Toibin on Elizabeth Bishop. Princeton and Oxford: Princeton University Press, 2015. Vida, Judith. “Life Lessons: What One Psychoanalyst Learned from Contemporary Art,” presented at the Laguna Art Museum, Laguna Beach, California, February 1, 1998.